← StudySync – Public Radio Listen Edition Blasts! The SAMR model (substitution, augmentation, modification, and redefinition) explores the impact of integrating technology on both teaching and learning. It attempts to outline a progression that educators follow in their journey towards redefining teaching and learning with technology. I’ve used this model as a guide to identify where a particular lesson or activity falls on the spectrum of technology integration, but it does not reflect the teacher’s evolution. In professional development, it’s common to hear teachers groan, “I’m so behind. There’s so much to learn. I won’t ever catch up.” That’s right. We won’t ever catch up. We will never be in front of the rapid advances transforming technology…and that’s okay. We don’t need to be ahead of the Edtech curve. We just need a willingness to continue learning and taking risks! It also helps to have a powerful PLN (personal learning network) supporting you. As I reflect on what it means to be a “connected educator” for Connected Educator Month, I recognize that “getting connected” is a fundamental first step towards sustainable technology integration. My own experience adopting technology, combined with several years working directly with other educators, has convinced me that most teachers advance through specific stages in their journey towards technology integration. Although the SAMR model identifies the impact technology is having on a particular lesson or activity, it does not speak to the transformation that many educators experience as they integrate technology into their methodology. 3. 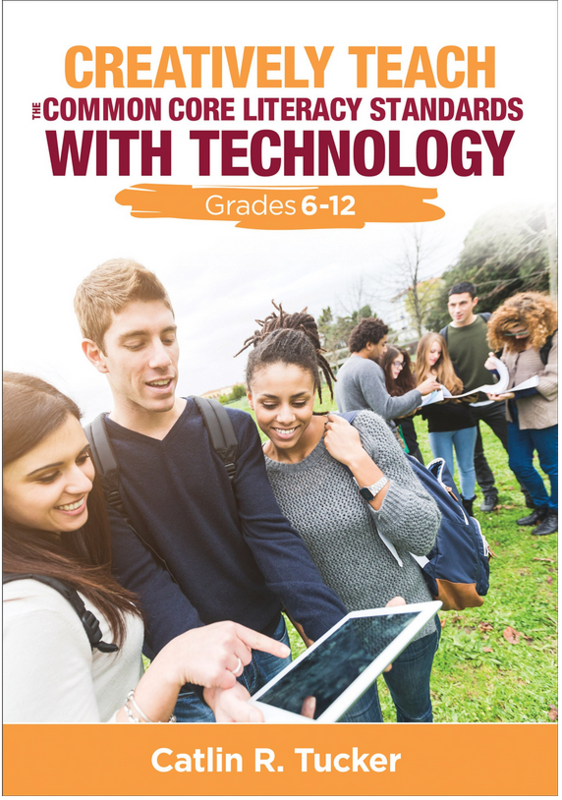 Engage students with technology in the classroom. 4. Use technology skillfully inside and outside of the classroom to engage students. 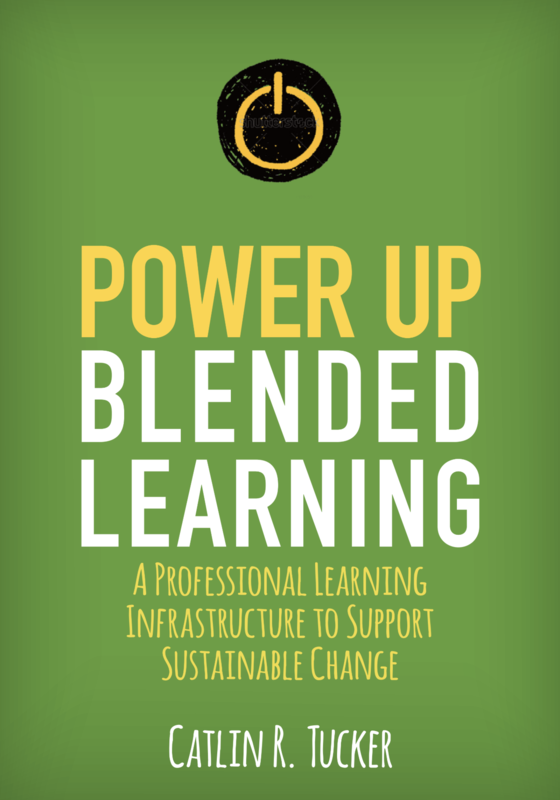 Before teachers can effectively integrate technology that is “sustainable” and, ultimately, makes them more effective and efficient, they must get connected. Most people need to experience the benefits of something new before they will adopt it. Teachers are no different. If they experience the benefits of technology on a personal or professional level, then they are more likely to explore how they can leverage it in their classrooms. Getting connected motivates teachers to take risks. They can begin to appreciate the innovative ways that other educators are using technology with students. Building a PLN (personal learning network) forms these crucial relationships and provides support as teachers explore web tools and teaching with tech strategies. My PLN on Twitter and Google+ is a wealth of information about new tech tools and teaching strategies. At the start of this school year, an educator I follow on Twitter raved about a new tool called “If This, Then That,” which connects different applications to create an automatic chain reaction. For example, if I take a picture using Instagram and tag it with our class name, it is automatically uploaded to our class blog. This tool saves me time daily! Teachers can sign up for Twitter and join in the various Twitter chats that take place each week about education topics. 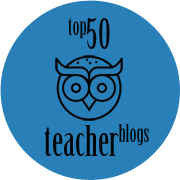 This is a great way to meet and connect with other educators who teach your subject and /or grade level. There are chats devoted to the Common Core Standards, while others explore emerging trends like blended learning and BYOD (bring your own device) policies. Click here to view a complete list of Twitter chats happening all week. Once teachers have begun to explore technology themselves, the easiest place to introduce technology is into the actual act of teaching. Educators familiar with the SAMR model will recognize this level of technology integration typically falls under substitution or augmentation, depending on how the technology is used. Teachers may use a PowerPoint Presentation instead of lecturing at the board. The PowerPoint may simply project the notes and information that would have been written on the board (substitution). Alternatively, a teacher may embed media (pictures, graphs and/or videos) into the presentation to enhance and improve the lecture (augmentation). I wrote a blog encouraging teachers to think outside the box when using traditional teaching tools. LCD projectors and document cameras are perfect examples. They are commonly used as teaching tools, but they can also be used to engage students. Teachers can project a text they are reading or model annotation strategies using these tools (substitution). However, these same tools can be use to engage students. Teachers can project a map, timeline or venn diagram onto the board and allow students to work collaboratively to fill in the necessary information (augmentation). Before most teachers are comfortable putting technology in the hands of students, they want to feel confident using it. Many teachers feel unnecessary pressure to “master” tools and have all of the answers before they use them with students. I don’t recommend this approach, because it is unrealistic to think we can outpace our digital natives. I hate to see teachers wait any longer than necessary to begin incorporating technology into their classrooms. Using technology to engage students in active learning in the classroom requires a fundamental shift in the way teachers plan for and execute lessons. It can produce a powerful transformation in the traditional paradigm, placing students at the center of the learning process. Teachers are no longer the sole source of information in a classroom. Devices coupled with Internet connections empower students to problem solve, research, communicate and collaborate. This stage in the teacher’s journey is more in line with augmentation and redefinition in the SAMR model. Teachers can use tools like Socrative to do quick assessments, gauge understanding, collect exit tickets and play “space races” (augmentation). These activities allow teachers to more effectively and efficiently check in with students, collect information and provide immediate feedback. Crowdsourcing information with devices to replace lecture is a simple strategy that shifts the flow of information in a classroom. Students work collaboratively to research a topic and generate notes as a group (redefinition). Teachers can also use tools like Skype and Google+ hangouts to connect the students in their classroom to experts and other classes all over the world (redefinition). In this moment, technology redefines what is possible in a classroom. Integrating technology in the classroom makes it possible to shift from a teacher-centered to a student-centered classroom. 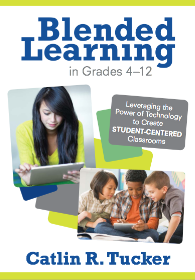 Students can access information and technology tools that lend themselves to autonomy, discovery and creation. In this fourth stage, teachers weave together active, engaged learning in the classroom and online. At this point, learning is no longer limited to a physical space. Teachers design lesson plans that begin in one medium and extend fluidly into the other. Ideally, activities are paired with the best learning environment. When my students complete their expert group investigations, they work in collaborative groups to research a topic. They do this in class with devices and continue online via a shared Google document. Once the research phase is complete, they work together both synchronously and asynchronously to create a multimedia Google presentation. As they present to the class, their peers’ crowdsource notes on a TodaysMeet backchannel. After presentations are complete, students review and discuss the backchannel notes. The flexibility created when face-to-face elements are woven together with online collaboration yield high-quality finished products. This year, I am collaborating with a middle school teacher in Palo Alto to complete an online Holocaust journal project. While my 9th and 10th-grade students are reading Night, her 7th-grade students will be reading The Diary of Anne Frank. Over the course of 5 weeks, our students will assume the identity of a person living through the Holocaust. They will write a first-person narrative account of their experiences. Students will be using Google to produce and share their journals, as well as recording audio components with Kaisena (previously known as Voice Comments). At the end of the project, we plan to schedule Skype sessions to allow our students to meet the person with whom they have been corresponding. It is the type of project that will blend in class and online elements and would not have been possible before the addition of technology. Some teachers will progress through these stages in a matter of months, while others will need more time to shift from teaching with technology to engaging students with technology. It takes even longer to seamlessly blend learning mediums to redefine what it means to teach and learn. It’s easy to become overwhelmed, but technology integration is a process. We don’t have to master it overnight. Teachers need to be patient with themselves, focus on one tool or teaching strategy at a time, and celebrate mistakes because that is how we learn. 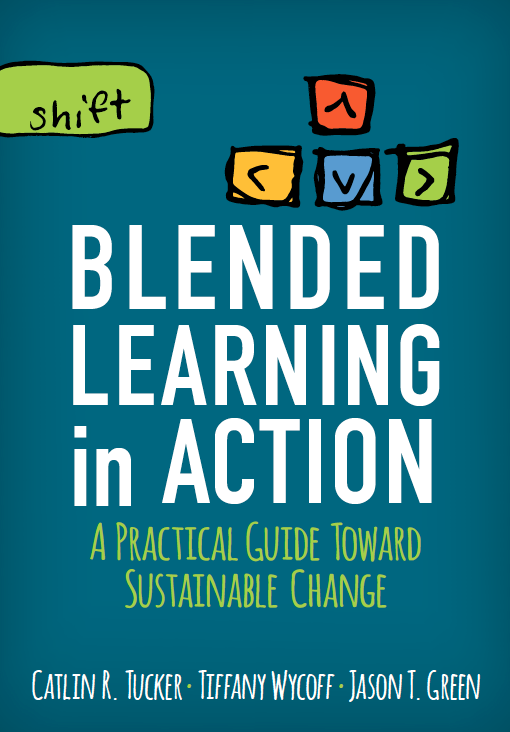 My article “The Basics of Blended Learning” was published in ASCD’s Educational Leadership Magazine and offers tips for teachers interested in shifting to a blended model. Catlin, thanks for the reflections, great ideas and insights! They have made a great difference in my teaching. I wrote a similar post today. Very helpful blog page on SAMR thank you Caitlin.